Attorneys | The Walters Law Group, Ltd.
Attorney Todd A. Walters grew up on the East Coast in New Jersey. He attended Ithaca College in upstate New York, where he majored in Psychology with a concentration in English. He attended the Thomas M. Cooley Law School in Michigan where he was honored on the Dean’s List, and where he represented clients in the renowned Sixty-Plus Elder-Law Clinic. Additionally, Mr. Walters worked as a Law Clerk in the United States Attorney General’s Office at the Department of Justice in Grand Rapids, Michigan. There, he did extensive legal research and wrote appellate briefs, one of which was pivotal in making new law with Federal Sentencing Guidelines. Following law school Mr. Walters moved to Chicago where he developed his extensive litigation and trial skills as the Senior Associate at a law firm that focused exclusively in divorce, custody and family law matters. In August 2009, in an effort to bring his clients a more personalized and attentive approach to their family law matters, the doors to The Walters Law Group, Ltd., were opened. Mr. Walters is well respected by judges and his courtroom opponents. He was selected as an Illinois Super Lawyer in 2005, 2006 and 2007, and is active in his local community of Palos Park which is in the southwest suburbs of Chicago. Mr. Walters has been lead counsel on a number of high-profile divorce and family law cases, while being sensitive in protecting his clients’ rights to privacy. After receiving her undergraduate degree at the University of Wisconsin-Madison in 1989, Nicole began her legal career by working as a law clerk in Chicago in a pre-eminent family law firm, where she learned how to navigate through all aspects of each division of the Illinois courts, at the state, county supreme court and federal court levels, and where she authored appellate briefs. Ms. Milovich subsequently attended the John Marshall Law School, where she was repeatedly named to the Dean’s List, and was an invited participant in the school’s Moot Court trial and litigation team. Prior to her graduation in 1998 she was awarded the distinction of being a recipient of the coveted “CALI Excellence for the Future Award.” Nicole is also a member of the legal fraternity Phi Delta Phi. 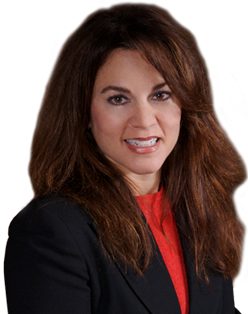 In addition to being an experienced litigator, Ms. Milovich is the president and CEO of NMI, Inc., an Illinois corporation specializing in background investigations of employment applicants, where she provides service not only to local businesses, but also to Fortune 500 corporations. 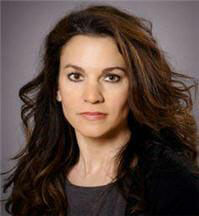 She additionally holds public office in the Village of Palos Park as its Public Works Commissioner. To learn more about our attorneys, review their profiles below. Contemplating divorce? Contact the divorce attorney at The Walters Law Group, Ltd., at 312-806-6700 / 708-361-9700 or contact us by email. I have retained Todd twice-- the first time for my divorce, and second time for problems with my Ex after the divorce. 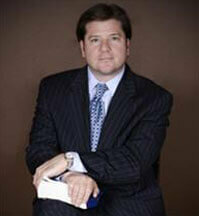 Todd is knowledgeable on the law, has a great repor with the Judges and gets along very well with other lawyers. I recommend him whole heartedly. Todd Walters was a huge help for my divorce case. He was honest, patient, and helpful with all aspects of the divorce process. He is very knowledgeable in this field and will tell you what to expect during the negotiation process and what the courts could recommend based on each unique situtation. My divorce case was very complicated. It lasted 3 1/2 years. Property and assets were stolen from my children and me before Mr. Walters representation. My now ex-husband hid assets, sold property, and presented many lies before the court. Todd helped me with my uncontested divorce. At one point it was being contestested by my ex. Todd was so helpful in guiding me through how to proceed. The case ended up being uncontested in the end. Todd tells you like it is, knows the law very well and most of all was attentive. Mr. Walters is a fabulous attorney. He knows the law and walked me through the entire child support process. He gave me the facts and was honest and forth coming with all the important information I needed to know. I knew I was in very trustworthy and capable hands. His staff was excellent. Outstanding and fair. Unyeilding in his work ethic. Would most definetly recommend this lawyer as he was recommended to me. I hired Todd to help me with a restraining order and take care of a motion to abate child support that the children's father had filed. Not only did he help me on both issues, He was effective and did not back down. I could not have asked for a better outcome. Todd did a wonderful job. Very well prepared and aggressive in the handling of all aspects of the case. Kept me well informed. The best endorsement I can give; I would not hesitate to use his services again or to recommend him to a friend.